Perfect paperweights for home or office, 1:1 scale size, has been permanently disengaged for display purposes only. 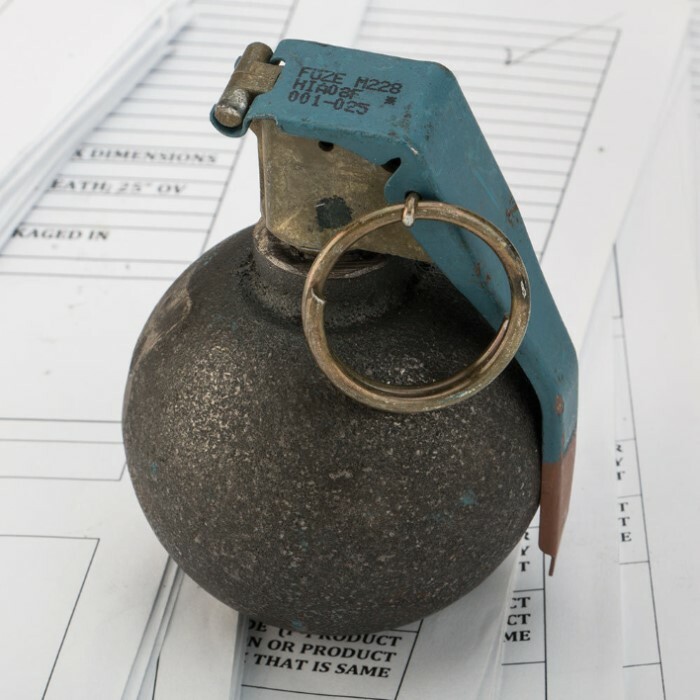 This inert United States grenade has a working pin which can be pulled out and replaced. The handle can also be opened and unscrewed from the grenade body. 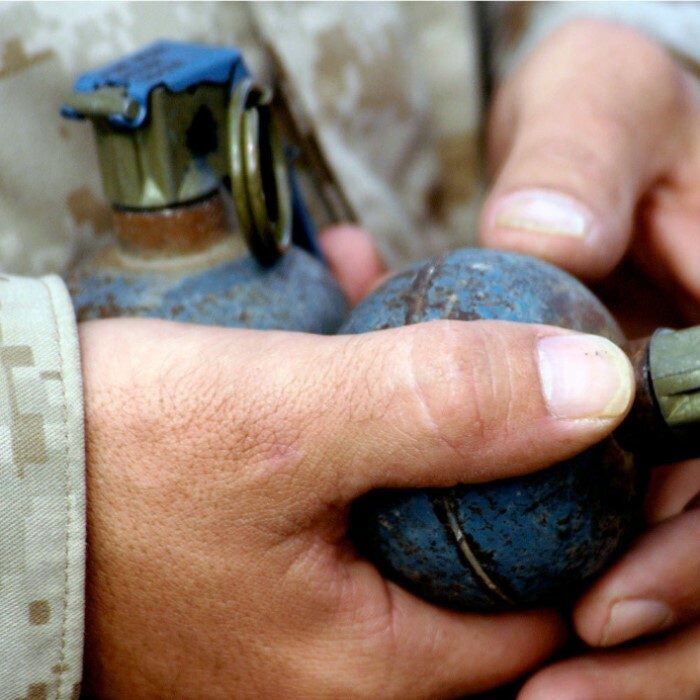 Decommissioned from military service, this grenade has the blasting cap removed, no explosive material, and a hole drilled though the bottom.